Kristen Hannigan (C), senior trainer at Georgia Aquarium, releases penguin chicks that were rehabilitated by the Southern African Foundation for the Conservation of Coastal Birds (SANCCOB) in Cape Town, South Africa. Kristen Hannigan (L), senior trainer at Georgia Aquarium prepares to release penguin chicks that were rehabilitated by the Southern African Foundation for the Conservation of Coastal Birds (SANCCOB) in Cape Town, South Africa. Stony Point Nature Reserve in Cape Town, South Africa. The site where 23 rehabilitated penguin chicks were released by the Southern African Foundation for the Conservation of Coastal Birds (SANCCOB) with assistance from partnering organizations like Georgia Aquarium. An African penguin colony at the Stony Point Nature Reserve in Cape Town, South Africa. 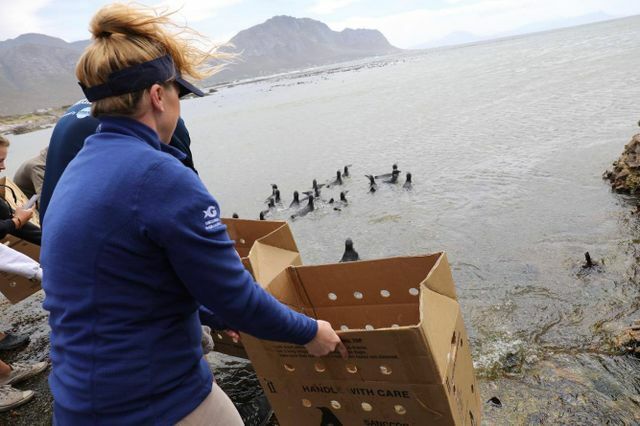 The site where 223 rehabilitated penguin chicks were released by the Southern African Foundation for the Conservation of Coastal Birds (SANCCOB) with assistance from partnering organizations like Georgia Aquarium. An African penguin chick before release at Stony Point Nature Reserve in Cape Town, South Africa. Kristen Hannigan, senior trainer at Georgia Aquarium watches as the group of rehabilitated African penguin chicks swim into the bay. 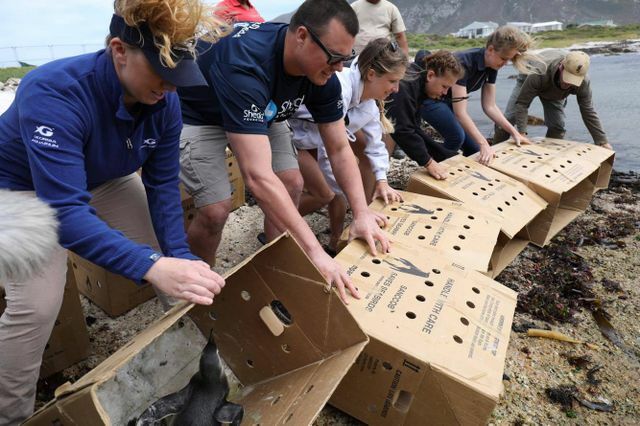 CAPE TOWN, SOUTH AFRICA (Dec. 8, 2016) – Today, penguin care experts from Georgia Aquarium, joined with the Southern African Foundation for the Conservation of Coastal Birds (SANCCOB)—an internationally recognized leader in treating threatened seabirds— released 23 rehabilitated African penguin chicks (Spheniscus demersus) that had been rescued along the South African coast after being abandoned. These strandings have increased in recent years, averaging between 600 and 900 penguins needing rescue and rehabilitation, due to environmental factors such as oil spills, predation, food shortages and habitat degradation. African penguin population numbers have dropped 60 percent in the past 30 years and are considered endangered by the International Union for Conservation of Nature. One of SANCCOB’s largest donors, Georgia Aquarium has donated more than $250,000 since 2009 to support the organization’s rescue and rehabilitation efforts. This includes a $40,000 gift presented on-site this week as Aquarium representatives assisted with seabird care and penguin releases. These funds were generated with the help of a program at the Aquarium allowing guests to round up their gift shop purchases to the next dollar to donate toward research and conservation initiatives. 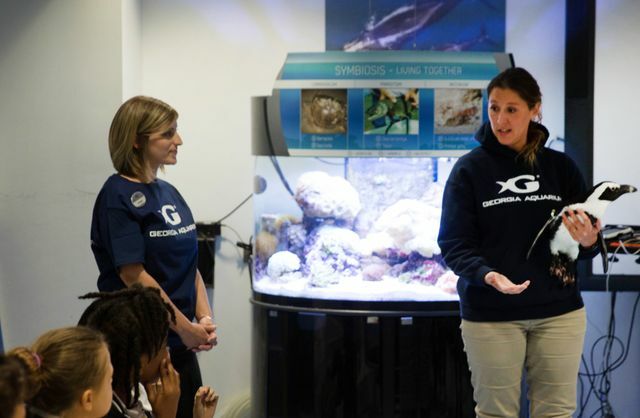 Georgia Aquarium will also partner with local K-8 Atlanta-based school Centennial Academy tomorrow, Friday, Dec. 9 for a 30-minute live-stream educational session direct from SANCCOB. 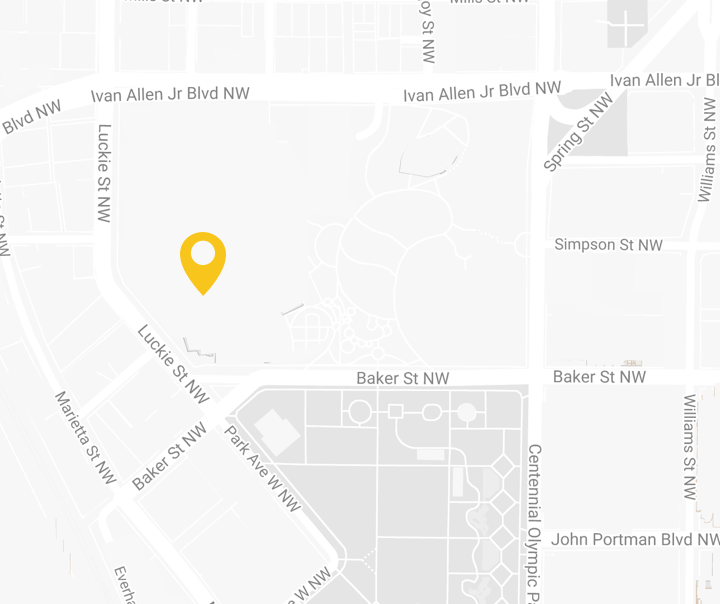 The Aquarium has collaborated with Centennial Academy for several years, and starting in August of 2016, students in the gifted program grades 1-5 use Aquarium classroom spaces as primary classrooms every day during the 2016-2017 school year. The effort aims to blur the line between the "classroom" and the "real world" and push the boundaries of what learning could look like in an urban setting in the 21st century. Georgia Aquarium also helped SANCOBB with the first-ever health assessment of penguin populations found naturally on South African islands in 2009. 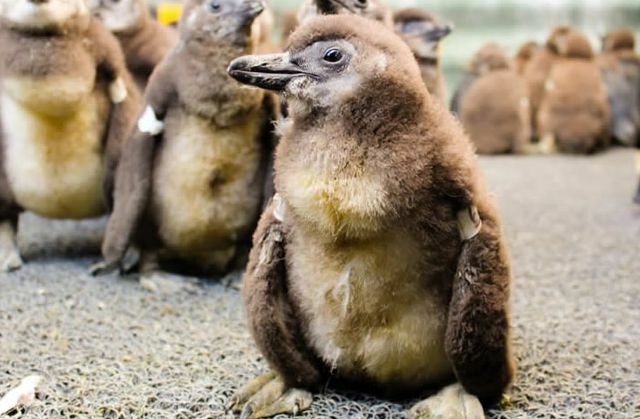 In 2010, when SANCCOB was confronted with a record number of abandoned penguin chicks, with Georgia Aquarium’s financial support, the rescue center had more than 80 percent success rate for the release of the orphaned animals. In 2015, SANCCOB’s efforts produced an 85 percent success rate. Georgia Aquarium’s penguin conservation efforts begin at home in Atlanta where guests can learn from the more than 50 African penguins living at the aquarium. 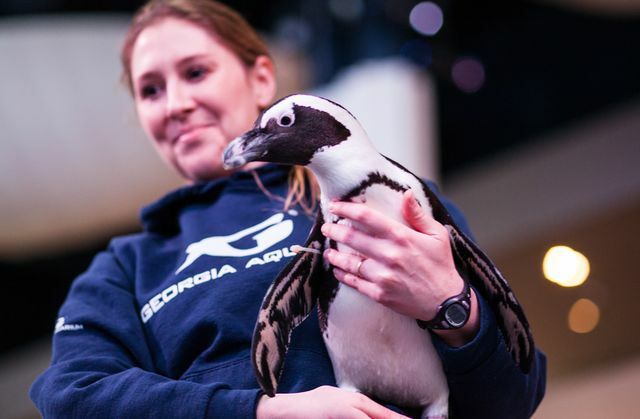 Through the Aquarium’s encounter program, more than 18,000 guests have learned about what is happening with penguin populations and how Georgia Aquarium is supporting SANCCOB’s efforts. Georgia Aquarium also works to ensure the long-term genetic diversity and physiological health of African penguins within human care through selective and strategic breeding as part of the Species Survival Plan coordinated through the Association of Zoos and Aquariums (AZA). Since joining, the Aquarium has hatched 26 African penguin chicks. The animal care team plans to have multiple African penguin breeding pairs in 2017. For additional information on African penguins and Georgia Aquarium’s research and conservation efforts, visit www.georgiaaquarium.org/african-penguins To read more about Georgia Aquarium’s partnership with SANCCOB, visit georgiaaquariumblog.org. Stay up-to-date with the Aquarium’s penguin care team in South Africa by following Georgia Aquarium on Facebook, Twitter and Instagram.